PAWHUSKA, Okla. — Cody Joseph Porter, 32, of Sperry, Oklahoma, was convicted Feb. 27, 2019, on three counts of larceny of domestic animals, cattle. The convictions are the result of charges brought after an investigation by Texas and Southwestern Cattle Raisers Association (TSCRA) Special Ranger Bart Perrier. According to Perrier, from June 21 to June 27, 2018, he received reports of stolen cattle from three separate victims near Avant in rural Osage County. Perrier initiated an investigation in each of the cases and subsequently located some of the stolen cattle at livestock markets across northeastern Oklahoma and southern Kansas. With the assistance of local law enforcement and special agents with the Oklahoma Department of Agriculture, Perrier was able to identify additional stolen cattle belonging to the victims. 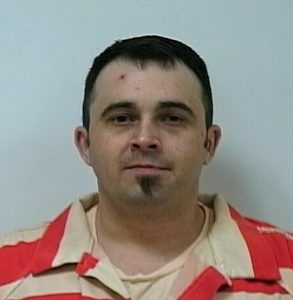 Porter, along with Michael Joseph Demaro, 43, of Skiatook were quickly identified as suspects in the investigation, which later revealed numerous similar cattle and equipment thefts throughout Oklahoma. The two men were charged in August with three counts of larceny in Osage County. Porter’s subsequent conviction in February came with a sentence of 20 years in the custody of the Oklahoma Department of Corrections. He will serve 10 years in prison and another 10 on probation. Demaro has yet to be arrested on the Osage County charges and has an outstanding arrest warrant. Anyone with information on his whereabouts is asked to contact the Osage County Sheriff’s Office or Special Ranger Perrier at (918) 847-3231. Perrier and TSCRA would like to thank the Osage County Sheriff’s Office, especially Deputy Daniel Brashear, Deputy Kyle Reese, Investigator Steve Talbert, Investigator William Gee and Oklahoma Department of Agriculture special agents for the assistance in the joint investigation. Additional information on the arrest of Porter and Demaro can be found in TSCRA’s prior news release, here.